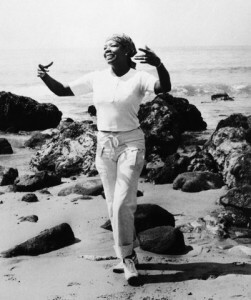 As I’m sure you’ll be aware, the extraordinary, inspirational woman, Maya Angelou, died yesterday. She had an astonishingly rich life, starting right at the bottom of the pile and ending her life as a teacher, a role model, a treasure and an inspiration to millions. I came to know of her first through her poetry. The first poem I read of hers was Still I Rise, which is one of my favourite poems to this day. I re-read it often and it still makes me cry and it still makes me feel stronger. You can find it on YouTube being read by Maya herself. 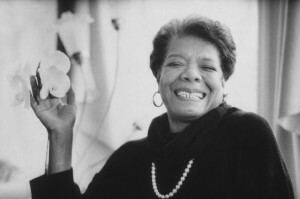 Yet when Wikipedia, and some obituaries out today, mention Maya Angelou’s poetry they say it ‘received mixed reviews’. I’ve seen this phrase before and I don’t like it. It often seems to be used as a euphemism for ‘Wasn’t particularly special.’ But I think poetry should receive mixed reviews. I think poetry, and all forms of writing should aim to speak powerfully, but not to every reader and not to every reviewer. Books that are unanimously feted and glorified make me suspicious, and might in fact disappoint readers if, as is sometimes the case, it turns out to be a matter of The Emperors New Clothes. Only by reading widely do you find the words that reach into you. Nor should writers worry about the prospect of ‘mixed reviews’. Trying to please everybody can only make your writing weaker, because it can no longer come from the heart. Very thought provoking words – and equally applicable to all writing. Often the most memorable writing is that which provokes debate. Also some of the very best writing works subtly and on different levels (often with irony and dramatic irony) so can often be misinterpreted on a superficial reading. Maya Angelou was a major component of one of my university courses so I’ve had the pleasure of knowing her work for a long while (and the slightly less pleasurable experience of writing essays on it). There is so much to be enjoyed in discussing writing. The few times I’ve participated in reading group discussions it’s been such a pleasure to hear the different and opposing viewpoints. Even when someone passionately dislikes a story, their vehemence is invigorating. I think you’re right that a superficial reading will be unrewarding, and also even a more considered read, if done at the wrong time, will fail to evoke the same response. What a good point you make about mixed reviews. I’m also very suspicious of writing that seems to attract all 5 stars but also, as I’m starting to write more reviews on my blog, I’m nervous about the potential to offend people. I can understand what you say about reviewing. I started writing reviews a few years ago and then stopped after an author kindly turned up on one of my posts to discuss what I’d written. I realised that if I didn’t like or ‘get’ a book, whilst I would love to discuss it with the author, I didn’t actually want my thoughts up there in black and white as though it were a judgement on their work that carried any weight at all. And I certainly didn’t want to offend authors. Yes, indeed, I had noticed it too, on Wikipedia, the comment on “mixed reviews” of her poetry. Your reply to the comment is much more deserving of being repeated than the comment itself. What Pascal said about religion could be said of many poets but esp of Maya Angelou: “Venerable, because she knows man like no other. Lovable, because she promises the true good.” Le vrai bien, not the comfortable one. That’s a perfect quote, thanks, Marcus.